“It’s a long name,” says Dr. Mayda Velasco, the institute’s director and founder, “so we just say COFI.” There, nuclear and particle physicists, engineers, analysts, computational experts, and cosmologists are putting together the puzzle pieces of our cosmic story—from the particles that make up each and every one of us, to the stars in the sky. Dr. Velasco is a world-renowned physicist who was involved in the Nobel-prize winning discovery of the Higgs boson, a subatomic particle believed to be one of the fundamental building blocks of the universe. For many years, she served as fellow and staff at the Large Hadron Collider, the largest and most important instrument in the world to study subatomic particles. This position is almost exclusively reserved for European scientists, but she was a special exception. A professor in the Department of Physics & Astronomy at Northwestern University near Chicago, Illinois, Dr. Velasco has a prolific research career. For example, she recently observed a peculiar signal among her data from the Large Hadron Collider. If the signal is real, she has witnessed a violation of the rules of the Standard Model of physics, the theory which describes all known particles and the forces that govern them. And yet, she says, “as we grow older we get interested in other things.” For her, this didn’t mean retirement or taking up a new hobby. “I wanted to create an institute of physics and cosmology, in San Juan, Puerto Rico” And now through COFI, she has. COFI also benefits from Dr. Velasco’s standing as a science rockstar to bring world-class scientists to Puerto Rico. Nobel Laureate Adam Reiss, who discovered the accelerating expansion of the universe, delivered COFI’s inaugural lecture in 2014. The crowd was so large, it had to be videocast simultaneously to another location. Of the invitees, nearly half were international, representing Europe and the Americas. Since COFI’s creation in 2014, its work has expanded. Graduate level summer schools are open to all, but have special fellowships for Latin Americans and for people from underrepresented groups. Through this program, graduate students and postdocs live and learn near the institute for a week. Each day, students attend lessons and participate in tutorials and presentations. During the program, they also experience cutting edge work through lectures and meals with senior scientists in their field. These workshops hope to provide Caribbean institutions with the critical mass and research resources they need to offer doctoral degrees in physics. Through her work with COFI, Dr. Velasco is making Puerto Rico a point of connection in more ways than one. She has partnered with Northwestern University, to leverage their expertise in the manufacture of fiber optic cable to connect COFI with large computing and data facilities for a lower cost. In this way, she is not only ensuring the future of her institute but contributing to the sustainable development for science in Puerto Rico. Dr. Velasco sees great potential in science. “We know that the economy is fueled by invention,” she says. “Invention cannot be achieved without pure science, and Latin America has that.” COFI is a way to give back to both the international community and to her beloved Puerto Rico. “I’m very proud of where I come from,” she says. 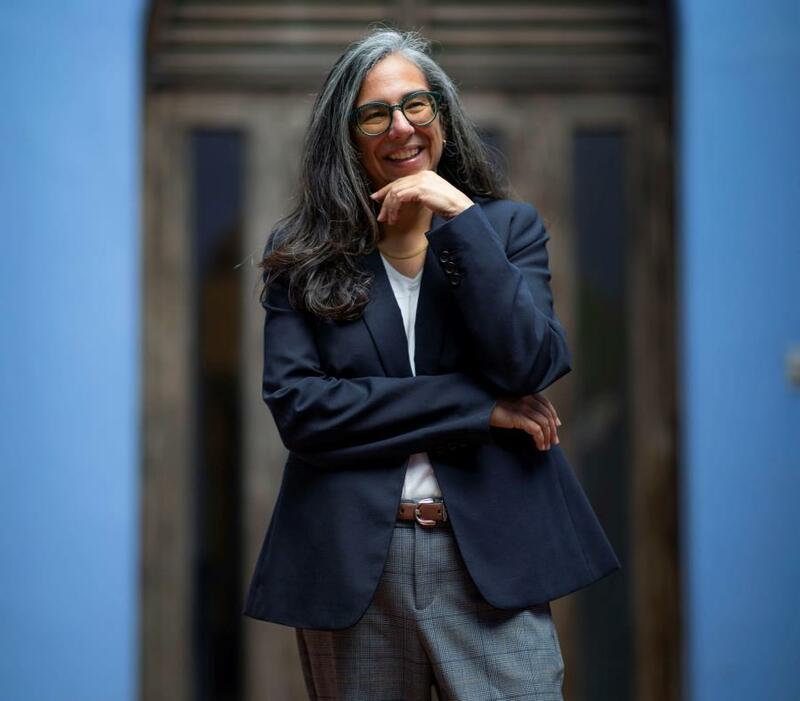 In recognition of her thriving institute, in 2018 Dr. Velasco was awarded a UNESCO Chair professorship by the U.S. State Department and the United Nations. This accolade, which recognizes work in higher education, science, or culture has only been awarded to 17 US professors since 1992. Dr. Velasco ends by reflecting on the physics community. “We always share all our knowledge, it’s not like in industry where there’s a patent for everything, no, no, no! That’s not how we work. We transcend countries through collaborations and find ways to get students and scientists to visit our institutions.” Working together, physicists have answered countless questions. Dr. Velasco firmly believes that only by bringing bright minds together—perhaps in a building overlooking the ocean in Old San Juan—can we uncover the secrets of the universe. Read more about Dr. Velasco's trajectory in science in this interview with El Nuevo Día.